1. 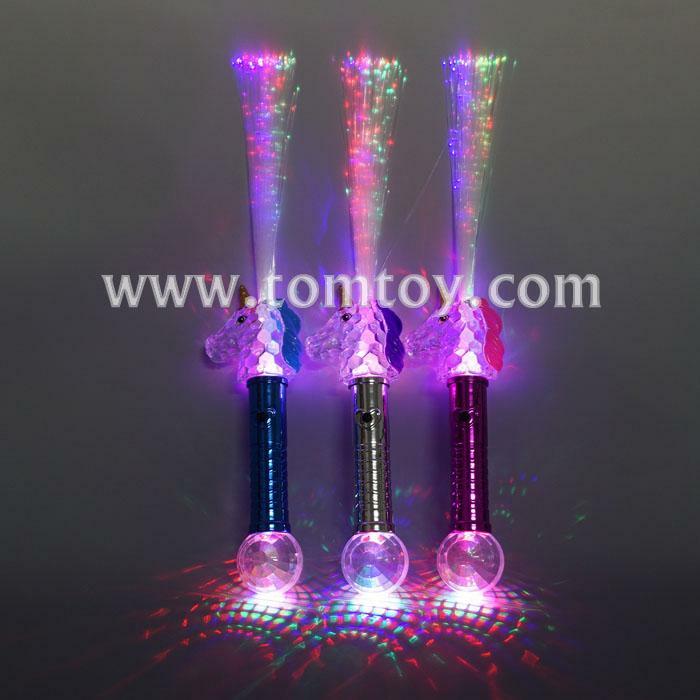 LED light up fiber optic Unicorn wands with prism ball features fun fiber optics and bright multicolor LEDs. 3. 4pcs AG13 Batteries are included and installed.